NCBA is registered with Northumbria Police as a Safe Reporting Centre for disability hate crime. Safe Reporting Centres provide a supportive environment for people to report disability hate crime to police. 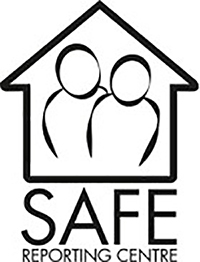 Wherever you see this logo, you can visit the centre where you can report incidents and access help and information. If you would like more information about NCBA as a Safe Reporting Centre, or to discuss reporting a crime, please drop into the office or call 01670 514316 and speak to a member of staff.